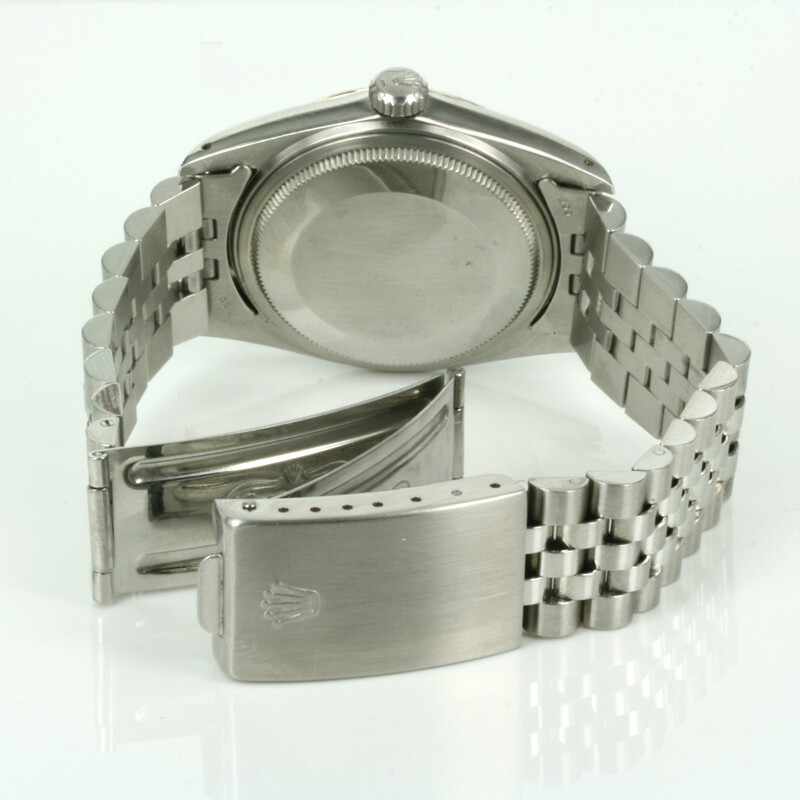 Product code: Q841cc Categories: Sold Items, Sold Rolex Watches. 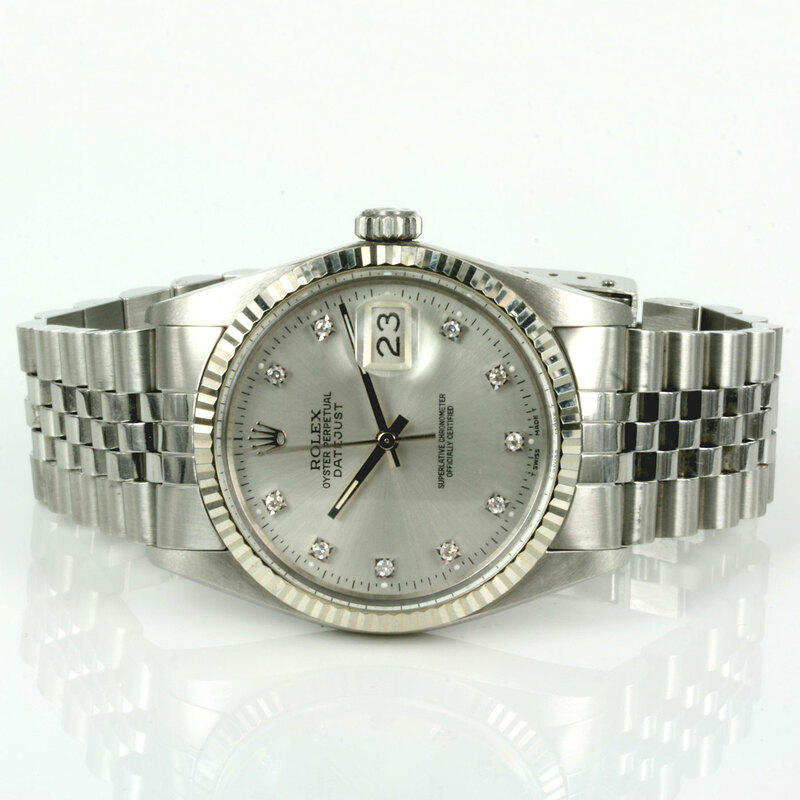 Perfect for any time of the day or night is this gents Rolex Oyster Perpetual Datejust model 16014 with the diamond dial. Made in stainless steel this Rolex is fitted with the 18ct white gold bezel and of course is fitted with a diamond dial which really makes this Rolex look so elegant. Being set against the silver dial doesn’t make the diamonds on the dial too ostentatious or over the top and looks great. Measuring 36mm across plus the Rolex screw down crown and is such a comfortable to watch to wear all the time. Fitted on the Rolex Jubilee band, the band itself is in such good condition and doesn’t display flex i the band which is excessive stretching making this a Rolex watch that will be safe and comfortable to wear for many many years to come. With the sapphire crystal for added durability, this Rolex also comes complete with our 12 month warranty and its original box and papers.